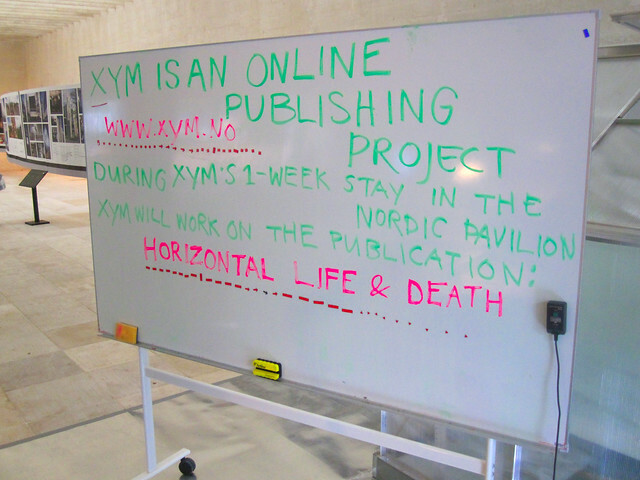 XYM is is working on a PDF publication in the Nordic Pavilion. Day 1: Chaotic but good; collecting of all contributions and starting to structure material to work with for the publication. Tomorrow we will rearrange our brand new office, socialize more with the Biennale visitors and start a small XYMEMORY USB stick production factory. Weather today: Sunny and warm, 25º C.